Partner with USA Realty welcomes you to our comprehensive South Brunswick real estate website. No other site provides more detailed South Brunswick real estate market information than you’ll find here. The South Brunswick real estate market is made up of diverse and interesting communities and neighborhoods. We’ll tell you about each of them and let you narrow your search to the very best for you. If you’re a buyer, you want to check out our Featured Homes, as they’re selected for their quality and amenities. As a seller, you’ll want to see your home on this page. Our home search page is one of the most valuable tools on this site for both buyers and sellers. 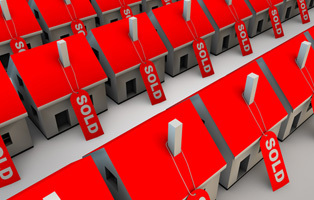 Keep your finger on the pulse of the market by visiting the real estate search page. © 2018 Garden State MLS® - Agent. All rights reserved. The data relating to real estate for sale on this web-site comes in part from the Internet Listing Display database of the CENTRAL JERSEYMULTIPLE LISTING SYSTEM, INC. Real estate listings held by brokerage firms other than this site-owner are marked with the ILD logo. The CENTRAL JERSEYMULTIPLE LISTING SYSTEM, INC does not warrant the accuracy, quality, reliability, suitability, completeness, usefulness or effectiveness of any information provided. Copyright 2018, CENTRAL JERSEY MULTIPLE LISTING SYSTEM, INC. All rights reservedThe CENTRAL JERSEY MULTIPLE LISTING SYSTEM, INC retains all rights, title and interest in and to its trademarks, service marks and copyrighted material.